Calligraphy exercises by Noufal Ibrahim. 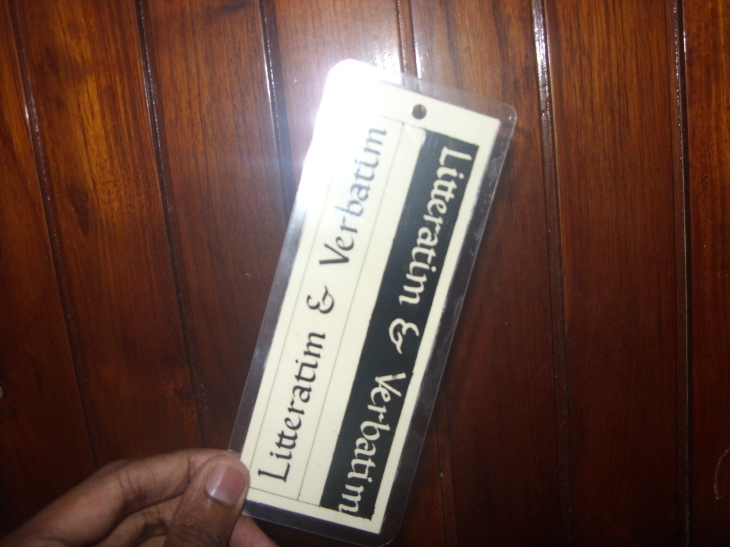 This was a project to made a little bookmark for a friend of mine. 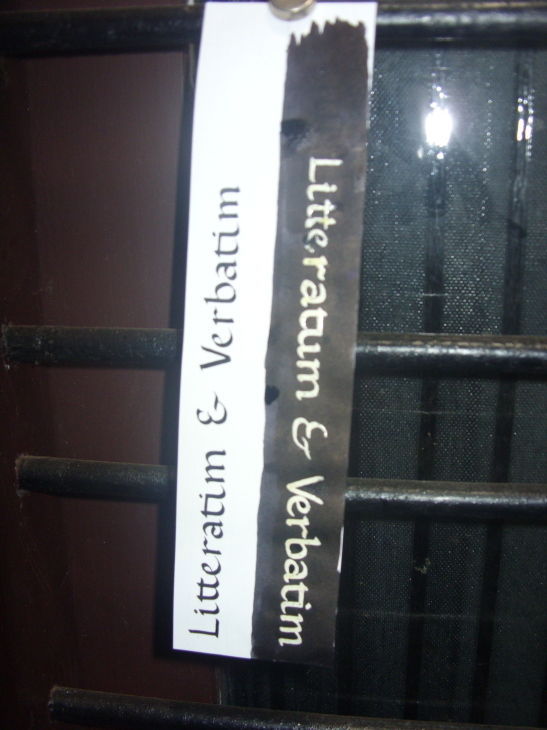 The plan was to write the words litteratim and verbatim twice. One with black ink on light paper and the second time in reverse using masking fluid and ink to get light text on a black background. 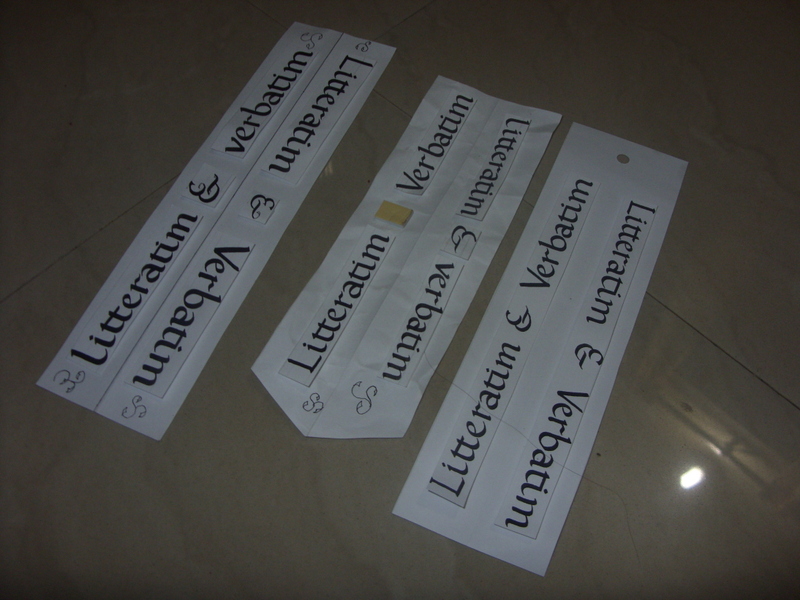 The first photo below shows a few “mock ups” I made to check nib sizes and layout. 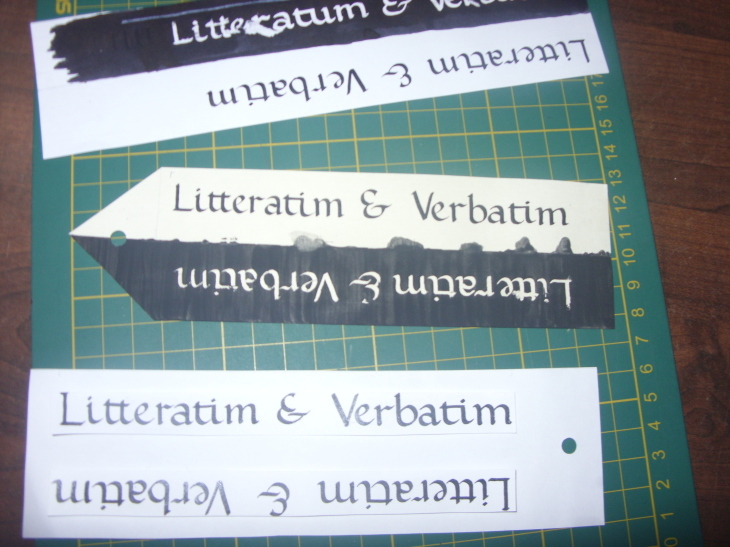 The pieces were written, cut out and positioned on paper of the appropriate width using double sided tape. This is an “action shot” of me making rulings on appropriately sized paper so that I can write out the final piece. 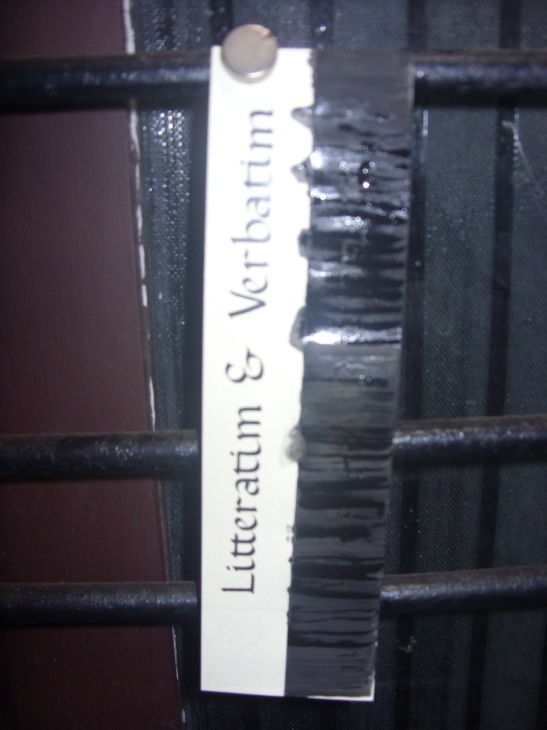 This was the second cut with the same ink used to write the black on white part. 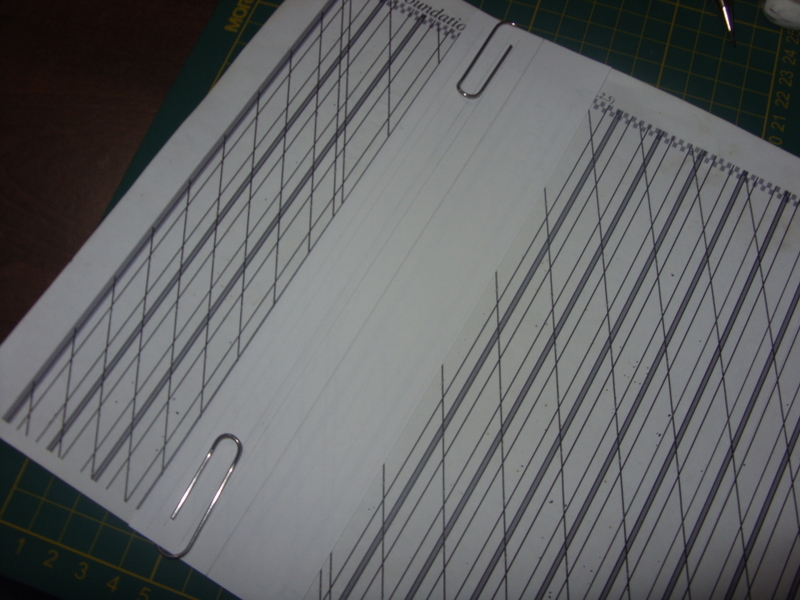 However, I used heavier paper which was slightly cream in colour. Also, the black part, after writing in masking fluid was painted with Daler Rowney black Gouache paint. My painting skills are far from adequate and the piece was even worse than the first. The colour bled into the light part and the strokes are brush strokes are clearly visible. Here are the finished pieces so far. The one on top is the dried first cut with the resist peeled off. The middle one is the second cut with the resist peeled off and the last is one of the layout pieces from the first photo. I then made another which, while not perfect, was close enough given my time constraints. It was on the same cream coloured paper as the second attempt and I used camlin poster colours which I’m more familiar with instead of the gouache and it came out okay. I touched up some minor mistakes but left one which I couldn’t clean up (the V of Verbatim in the light on black part had some colour bleeding). I also got it laminated and punched a hole in it for a tassel or a ribbon. 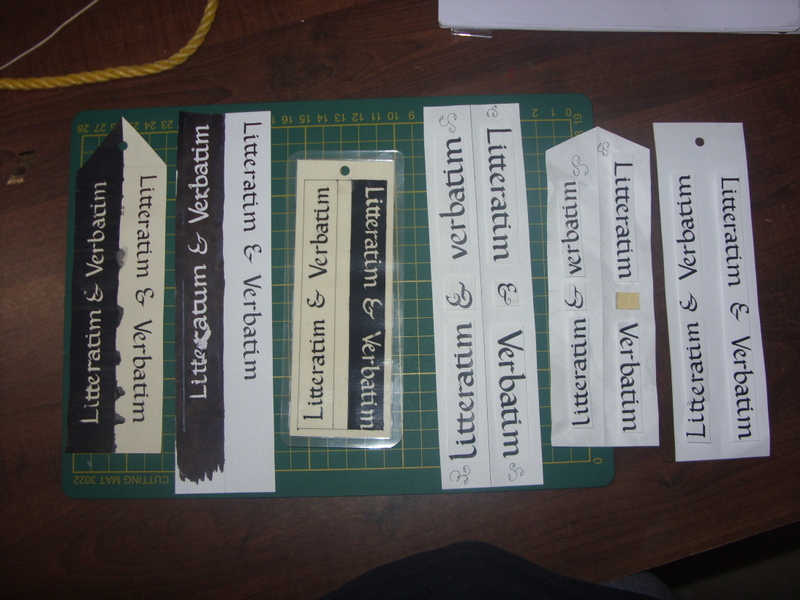 And finally, here’s a photo of all the pieces I made to get this done. The final one which I actually gifted is in the middle. 28 Oct 2013 How do I love thee? 12 Oct 2013 Whose axe is bloodier?